I do hope everyone was prepared to start the first full week of January. No? Oh, oh. Better luck next week. I thought I would do my first Monday Meeting of the new year. So, shall we get it started? I hope everyone’s Christmas and New Year’s was wonderful. It was quiet around here. Which is nice as the husband and I seem to be on the move a lot. Mostly doctor visits and hospitals stays and such. So having a nice quiet holiday was nice. As an update on the husband and his cancer situation. He did have one-third of his colon taken out along with the cancerous tumor. He was in the hospital for seven days. It was a little touchy as during the operation he started to bleed out. He had to have a blood transfusion. But, now he’s healed up nicely. His doctor did determine that the cancer cells did penetrate the outside of his colon so he will need chemo therapy. We went on New Year’s eve to talk to them and they put him on chemo. He takes it in pill form at home. Which is a good thing. The dose is relatively low so the side effects should be minimal if there are any. He’s been taking them for four days now with nothing happening as far as side effects are concerned. So, we are keeping our fingers crossed. We don’t know how long he will be on chemo. I’m hoping we find out with our next visit. His attitude is pretty positive, which should help a lot. So good news in that department. It’s still a mystery book though, not a romance. But hey, why can’t there be a touch of romance mixed in, right? As for this blog. It’s staying pretty much the same. A little of this, a little of that. I do want to write a few short stories. I’m even thinking of doing one that is ‘reader-driven’. I need to work out a few more details with that. But, I do believe it would be a lot of fun for all of us! I might even do a bit more poetry! Yeah, I’m getting brave….ha! And as most of you saw yesterday, I’m bringing back Silly Sunday. That’s where I post silly comics, meme’s or whatever else I can find for you to lighten up things a bit. 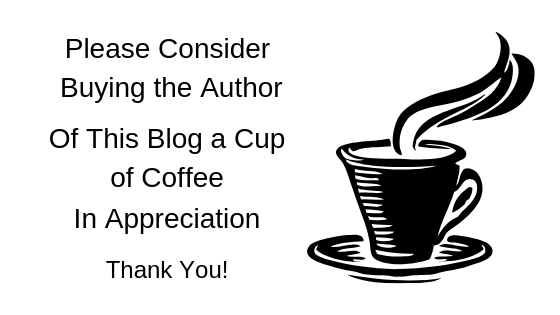 I want to thank everyone for continuing to read, comment and send good thoughts my way on this blog. I hope you stick around for this year, too. We’ll see what we can get ourselves into. That’s about it for this Monday Meeting. How was your holidays? Anything you want to see me do on this blog? Let me know! Good news with your husband I hope he continues to have an easy time with the Chemo. All the best with your new book. Yes thank you. Slow going. So sorry to hear about your husband. Glad for the positive news about your writing. Happy things are going better! And you’re writing again…and little romance won’t hurt 😚 I like you brought back silly Sunday and would like to see a cartoon here and there ! Hugs! Thank you tiny! You’ll probably see a more regular Sam and Me comic this year. 🙂 who knows what else I might come up with? Hugs! All the best to your husband and the battle ahead … and strength to you through it all. Certainly not the best news around the holidays, then again, never a good time for that type of news. Good luck on the new writing project. I am glad to hear that his chemo is going well so far!